KAMPALA. Uganda Broadcasting Corporation (UBC) has indefinitely suspended several senior managers including the head of human resource to pave way for an audit inquiry into irregularities in the national broadcaster’s payroll, the national broadcaster has said. UBC managing director Winston Agaba told PML Daily last evening that a meeting of the Board of Directors that sat on June 5 had considered a preliminary internal audit report that recommended that a deeper, independent audit of the payroll be conducted. The audit, the broadcaster said, is expected to be complete within two weeks. Dr Mwesige (L) hands over the UBC probe report to Minister Tumwebaze last year. To conduct this process, staff who were directly charged with preparing and processing the payroll were asked to step aside to pave way for the audit inquiry, Agaba said without delving into detail. However, this website understands those affected are the head of human resource Barbara Kyomugisha Serunjoji and principle accountant Clementine Aribo. “But they are handling it now,” the source added, also revealing that Patrick Ongima, the head of IT, has been suspended for the second time in barely three months over incompetence and insubordination related issues. Simon Kaheru, the acting Board chairperson, said the audit is being conducted to establish the existence of proper controls, proper segregation of duties in the accounts department, completeness and accuracy of payments to verify the employment status of all persons whose particulars appear on the payroll. “UBC is on the road to an institutional revamp and a complete restructuring exercise. This audit will inform the quality, remuneration and needs of our human resource pool as part of the process,” Kaheru said. The developing comes fast on the heels of revelation by Daily Monitor that the Directorate of Criminal Investigations (CID) has commenced investigations into alleged corruption in connection to a Shs3.6 billion sponsorship deal between UBC and Airtel to air the 2014 football World Cup finals. The newspaper said some eight managers and former managers of the broadcaster are expected to appear at the CID headquarters in Kibuli today over the matter. Last year, a committee set up to review the allegations of mismanagement in UBC said the public broadcaster was plagued by long-standing institutional problems and is mired in debt, it should not be allowed to fail. 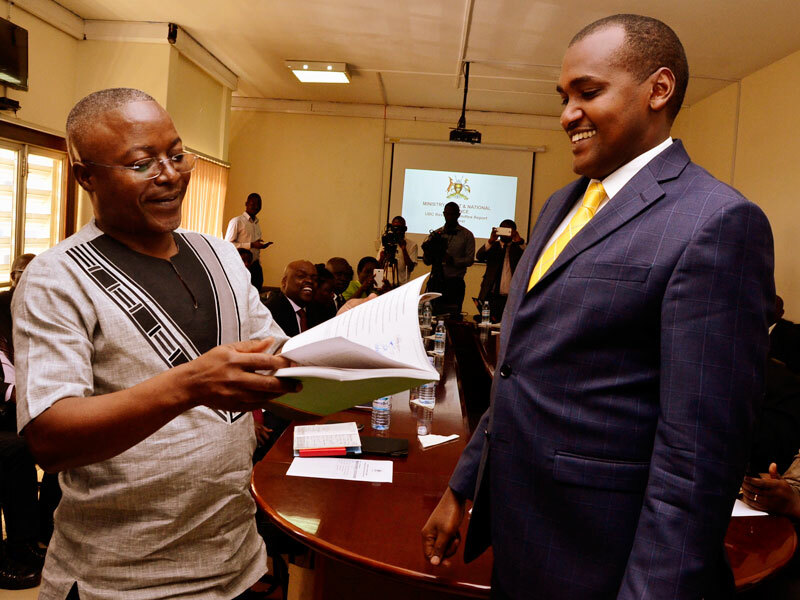 The committee, chaired by African Centre for Media Excellence executive director, Dr Peter Mwesige, submitted its report to the Minister of ICT and National Guidance, Frank Tumwebaze, in December last year after three months of inquiry.